Pilots from the Dakota Flight Center who donated their time and planes to help. 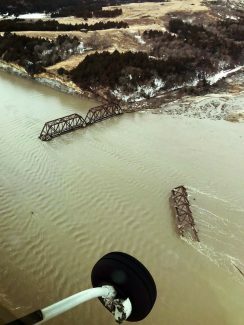 Views from the air as pilots searched for stranded livestock in South Dakota and Nebraska. Winter storm Ulmer wreaked havoc across Nebraska and South Dakota in mid-March, burying areas with up to 2 feet of snow and causing historic flooding, the effects of which are still being felt. The Pine Ridge Reservation was hit very hard, with gigantic snow drifts and the entire reservation flooded. As the frost was going out of the ground it caused shifting and heaving of the soil, breaking the main water line under American Horse Creek, cutting off the water supply to most of the area. The roads washed out or are too muddy to travel. Even now, almost a month later, a few areas still don't have water and can't get in or out. The National Guard came in to help and donations arrived but many are still in need of bottled water. "We have basically no road system, even the highways crumbled. We have a big infrastructure problem," said Chancy Williams, Tribal Councilman for the Medicine Root District of the Oglala Sioux tribe. The ranchers are still having a hard time getting to and caring for their livestock, which were hit hard by the blizzard and flooding. Mandi McCary, who works with the Professional Bull Riders as a public relations team member, was haunted by the viral video she saw on Friday morning, March 15, of a family digging out a bull that was completely buried in a snow drift. She brainstormed ideas for how to help, coming up with the idea to use planes to locate cattle. McCary got on the phone connecting with local sheriffs and tribal councilmen in South Dakota and Nebraska to find out where the need was the greatest. With the backing of the PBR they arranged with volunteer pilots to fly looking for livestock lost or stranded by the blizzard. 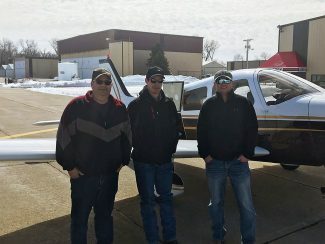 The first plane went up Saturday morning from the Dakota Flight Center in Mitchell, S.D., and was soon joined by several others. They covered more than 3,000 nautical miles and found close to 4,000 head of cattle, buffalo and horses. They focused on the Pine Ridge Indian Reservation, the area around Kyle, S.D., and Niobrara, Neb. They were able to give ranchers peace of mind that their herds were still alive and also to coordinate with those on the ground trying to reach the snowbound animals. One pilot even flew a young lady from South Dakota to Kansas to be reunited with her family. The PBR covered the fuel expense and supplies. McCary coordinated and fielded calls from people needing help, ideas or offering assistance. McCary has ties in South Dakota, her husband is from Huron and the couple spends time every summer in the state so the disaster hit close to home for her. "The powerful thing is how many people came together to help and coordinate. It was very humbling but something I'll never forget," McCary said. "I feel very fortunate to work with the PBR; they are committed to giving back and helping communities." Chancy Williams worked with McCary coordinating on the ground. "The PBR did a real nice job," he said. Locals went up with the pilots and were able to tell the ground crews what needed to be done. 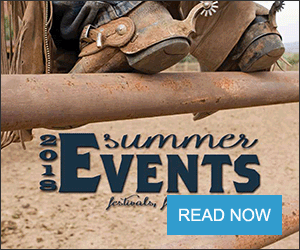 The PBR was already planning to promote their April Unleash the Beast event in Sioux Falls, S.D., where they are active to help the community, working with Feeding South Dakota and the McCrossan Boys Ranch. So backing the livestock finding mission fit well, and they didn't hesitate to help when McCary presented her idea to help the producers in need. The first national ad campaign in the 26 year history of the PBR is BE COWBOY. The focus is to break down the stereotype of what people think of as cowboy. It's not clothes or a vocation but a way of life and value system. Anyone who embodies the Cowboy Code of toughness, courage, respect, determination and patriotism is a true cowboy. This also includes giving a helping hand to those in need and showing human kindness to all. "The PBR is a leader in western sports, we give back to communities, it's rooted in our DNA, and our makeup is the Cowboy Code and values. 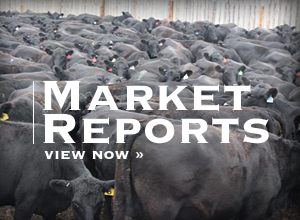 A piece of that is giving back more than we take and we believe in putting our money where our mouth is," said Ellen Newberg, CMO of the PBR. "Giving back and having a positive impact on our country, society and communities."